Garage Door Services Torrance: It Won’t Move! When your garage door stops working, it can put a damper on your mood and how you start and end each day. If you usually park your car in your garage at night, and wake up one morning to discover the garage door doesn’t work, it’s a rough start to the day. If you press the garage door button to open the garage, but the door doesn’t move and all you hear is the sound of the motor, there’s an issue we may help you resolve. Does your garage door motor run but the door doesn’t move? Sometimes the fix is as simple as this: Every garage door is equipped with an emergency disconnect in case the power fails. In order to activate the use of the disconnect, you’ll have to pull down on the red handle. The handle should then disconnect the garage door from the motor. Go ahead and raise the garage door manually once you’ve disconnected it; you’ll have to raise the garage door far enough to hear the click of it reconnecting with the motor. Your door will be open at this point in time. Once you complete these steps, try closing the garage door with the transmitter. It should close, and if it doesn’t, don’t fret! 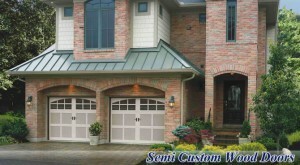 We offer premium garage door services! Call G&G Garage Door for immediate assistance at (424) 208-1988! 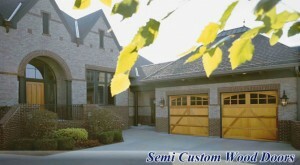 We understand that garage doors can be finicky. Go ahead and give the experts a call if you can’t seem to figure out why your garage door won’t work, or if you don’t have the strength to open and close your garage door manually on your own. Our garage door services are affordable, and we’re happy to help! Give us a call today or send us an email through our contact us form on the right of the screen.